A height greater than 16" from floor to rim (ADA compliant). 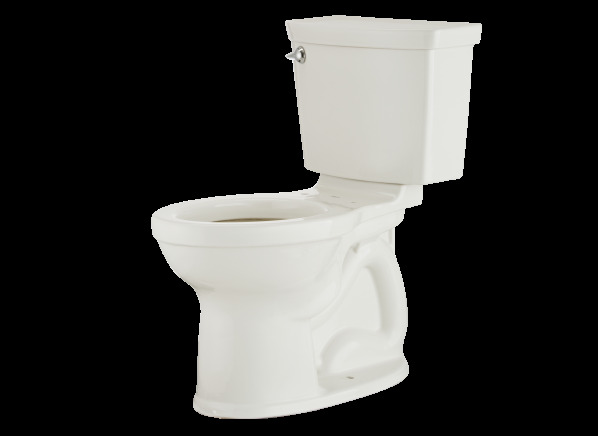 The American Standard Champion 4 Max 2586.128ST.020 is part of the Toilet test program at Consumer Reports. In our lab tests, Toilet models like the Champion 4 Max 2586.128ST.020 are rated on multiple criteria, such as those listed below. Solid waste removal: The ability to move simulated waste through the bowl and trap. Noise: Flush quietness without the seat. Bowl cleaning: How well flushing cleaned the bowl's front and sides. Resists soil and odor Resists soil and odor Indicates a large water surface, which helps prevent soiling and odors. Resists drainline clogs Resists drainline clogs Indicates this model sent simulated solid waste farther, potentially reducing drain-line clogs. Comfort height Comfort height Comfort height models have a seat height between 17 and 19 inches to the top. These also meet Federal ADA requirements.